As residents of Charleston, SC, we are lucky in that Spring and warm weather comes sooner for us than it does for the rest of the country. Unfortunately for us, that also means that allergies arrive earlier, too. Spring allergies are some of the worst for seasonal allergy sufferers because of the excess tree pollen and flower pollen in the air as all the seasonal greenery blooms. Are You Prepared For Your Spring Allergies? One of the most basic steps in learning how to deal with spring allergies is to identify what you’re actually allergic to. 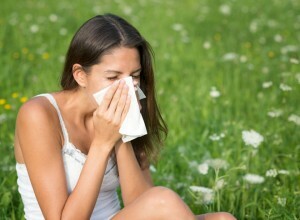 Top spring allergy irritants are many different breeds of grasses, weeds, and trees. To identify what you’re allergic to, you can schedule an allergy test with our Charleston, SC allergists. Do you know how to treat your allergies? Allergy treatments can vary widely, depending on the type and severity of your allergy. Once we’ve identified what you’re allergic to, our allergist will prescribe you with treatment. Your treatment can range from an over the counter decongestant or antihistamines, to prescription allergy medication specific to your allergy, to shots, to steroid nasal sprays. It all depends on your symptoms and needs. If you or a loved one is concerned about the coming Spring allergy season, come visit our allergist at one of our four Charleston area Alpha Care locations! Our experienced allergist will help you identify and diagnose the cause of your allergies, then help you combat them. We don’t want you to suffer through another allergy season — let us help you combat the pollen and enjoy your Spring! Call today at 843-824-2273 or contact us online for an appointment.